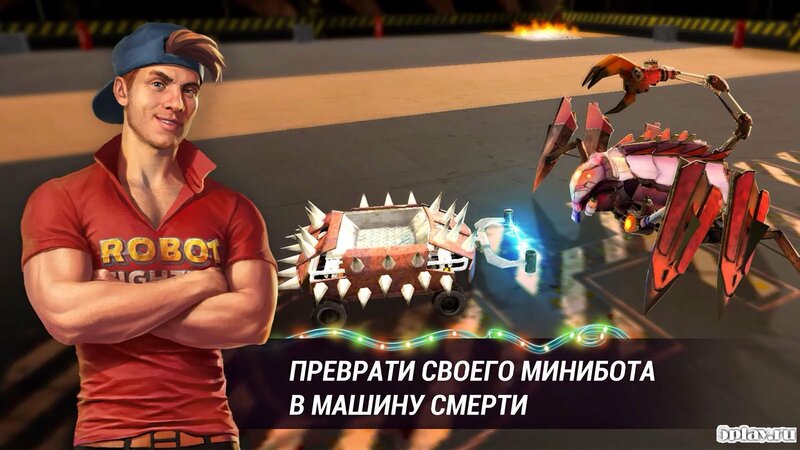 Robot Fighting 2 - a multiplayer action game in which the player will control a mini-drone and fight with the robots other users. Exciting fights will take place in extreme arenas, is full of dangerous traps, such as pits, spikes, circular saws, etc. a Successful battle will bring substantial cash rewards that can be spent on upgrading your drone by acquiring a variety of weapons and armor modules. In addition to the presented models and the gamer can design a robot and test it in battle.